Ray Semko’s DICE Briefings alert people to the different kinds of threats that can adversely affect themselves, their jobs, their families and their country and to motivate them to take action against these threats. He does so in a high-energy, informative and entertaining way which is specifically designed to make audiences remember the message — that security is important — for a long time. Semko motivates, captivates and reminds audiences of their individual security responsibilities — necessary now more than ever. 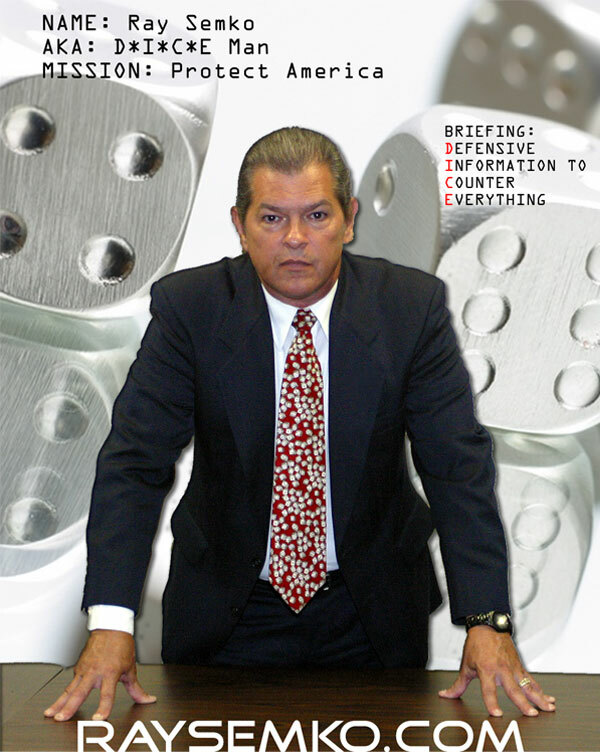 HIs famous Defensive Information to Counter Everything (D*I*C*E) security awareness presentations are for any kind of organization, company, government/military agency (federal, state or local), school, university, church, association, civic group, etc — ANYONE who needs a security/threat awareness wake-up call. In 1989, while at the Defense Intelligence Agency, he created his first D*I*C*E briefing, which took off like wildfire and the rest is history with a half million people who’ve been “DICE’d” (have you?). 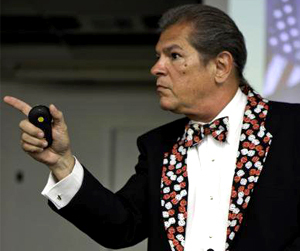 Request a DICE Security Awareness Presentation for your organization today and find out why people love to attend Ray Semko’s D*I*C*E briefings. You won’t be an unfortunate victim of a boring security briefing. The Defensive Information to Counter Everything, otherwise well-known as D*I*C*E, are one-of-a-kind threat, OPSEC/security education and awareness presentations, speeches and talks which I have given to over a half million people since 1989. They are always current and address real-world issues relevant to the specific audience. As a security educator and professional speaker, my job is to get out there to motivate and alert people to security threats that affect them, their jobs, their families and their country. I am well-known for energizing and re-charging people to wake up and take action. Your employees will leave renewed and motivated to do their jobs with honor and integrity, making your organization secure. And they WILL remember my message for a long, long time. My presentations are always tailored to the group I am speaking to in terms of their mission, operations and activities. I talk in length with the managers or the point of contact at the organization to find out the challenges and threats the organization is facing and what concerns them the most and what result they want out of my DICE presentation. Each speech is different depending on the organization and the people in the audience. One of the goals of the presentation is to get individuals to change their attitudes about the need for security. Security can never be thought of as an inconvenience. Educating your employees is the “cheapest defense” of your organization and of our country. Your people work on unbelievably important projects, missions, operations and activities. If these are lost due to espionage or terrorism or fraud, organizations can go under, people get laid off from their jobs or even lives can be lost. 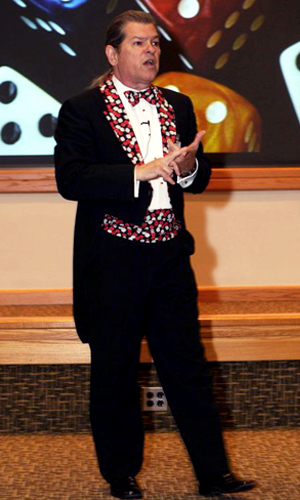 My D*I*C*E presentations will educate, motivate and energize your employees unlike any other they’ve experienced. Senior executives and managers who had never heard me speak and were at first unsure end up stating that my briefing was beyond well worth it. See the “Impact of DICE” to read what attendees and managers have said about the impact the briefing has had on them. Schedule a D*I*C*E briefing by calling me at 814-935-6345 today (or filling out the online Contact Form) so we can discuss your organization’s specific needs and challenges being faced. I have a deep motivation and passion for reaching people with the important message of being secure in an unsafe world. I look forward to speaking with you.